Exquisite is the only word for this six inch folder. Gold, gold, gold everywhere which really stands out against the gun blued (black) scales. This is true art. There are two sapphires, two garnets and one diamond inset in the back spine. She has no equal. 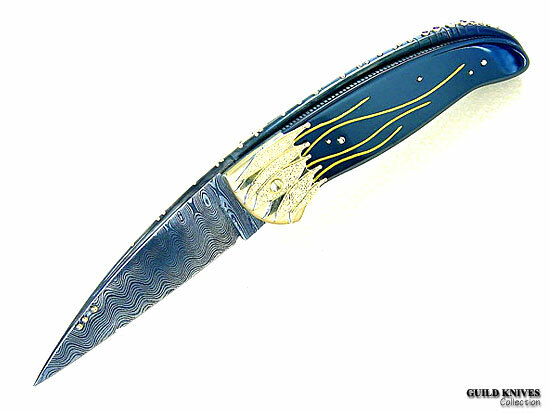 Thirty gold pins adorn the blade and back spine.
. Bolster/Guard: Egngraved, carved and fused gold.